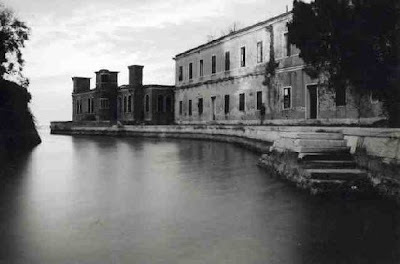 Poveglia Island is one of many island located between Venice and Lido in the Venetian Lagoon but instead of being a place of beauty, the island is a blemish in the shimmering sea and is not only regarded as one of the most haunted locations on the planet, but also one of the most evil places in the world. It is absolutely off-limits to visitors and while some tourists make attempts to visit from time to time, most locals refuse to take them to the island. The island has become a putrid area indeed. The soil of the island combined with the charred remains of the bodies dumped there creating a thick layer of sticky ash. The core of the island is literally human remains that has given the island a loathsome reputation...though it is known for exceptional grape growing. Think of that the next time you pour a glass of Venetian wine. Fishermen even steer clear of the island for fear that they will catch human bones in their nets. 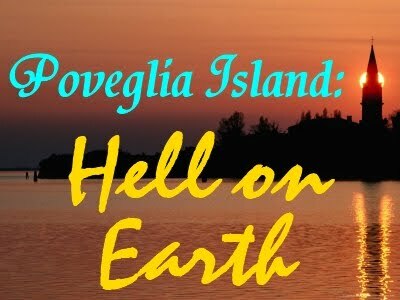 The dark history of Poveglia Island began during the Roman Era when when people from Padua and Este fled there to escape the barbaric invasions. Centuries later, when the Black Death rolled through Europe it served that purpose again. 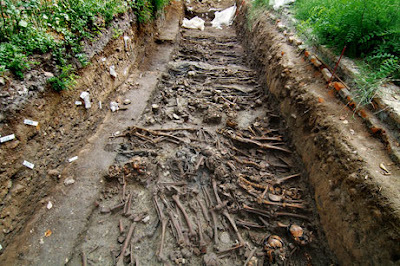 The dead were dumped into large pits and buried or burned. 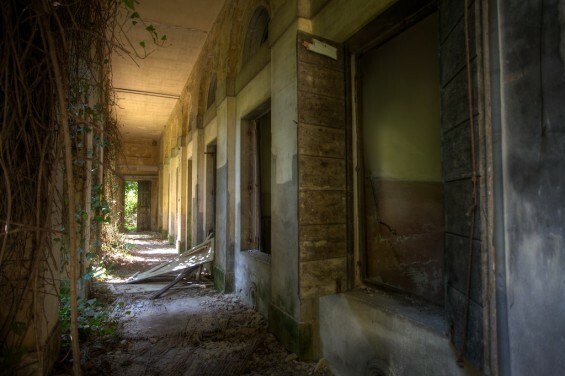 As the plague tightened its grip, the population began to panic and those residents showing the slightest sign of sickness were taken from their homes and to the island of Poveglia kicking and screaming and pleading. They were thrown onto piles of rotting corpses and set ablaze...all left to die in agony. It's estimated that the tiny island saw as many as 160,000 bodies during this time. In 1379 Venice came under attack from the Genoan fleet; the people of Poveglia were moved to the Giudecca, and the Venetian government built on the island a permanent fortification, called “the Octagon,” still visible today. The island remained uninhabited in the following centuries. Despite many attempts to offer the island for no price, no one seemed to want it. In 1527 the “doge” offered the island to the Camaldolese monks, but they refused the offer. In 1661 the descendants of the original inhabitants were offered to reconstruct their village on the island, but they refused to do so. In the 1700s the island came under the jurisdiction of the Magistrato alla Sanità (Public Health Office) became a checkpoint for goods and people visiting Venice until two ships arrived with plague on board. For this purpose various edifices were built, including the hundred metre long “Tezon” that still stands. It is still possible to read the writing on the wall by people who were confined there. From that time until the rule of Napoleon Bonaparte in 1805, the island was a confinement station for people with the plague. As if the story was not disturbing enough, it gets worse. In the 20th century the island was again used as a quarantine station. 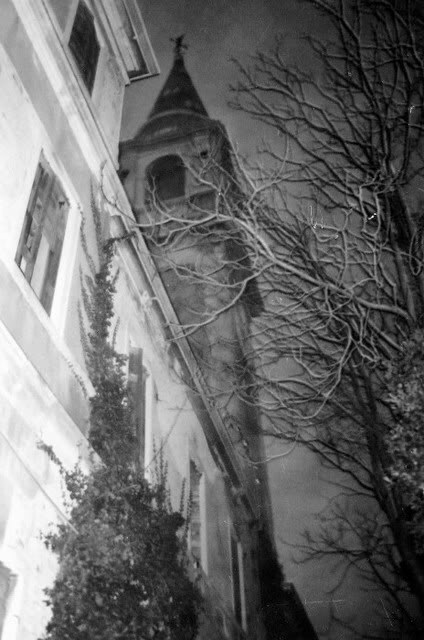 In 1922 the island became home to a psychiatric hospital complete with a large and very impressive bell tower. The patients of this hospital immediately began to report that they would see ghosts of plague victims on the island and that they would be kept up at night hearing the tortured wails of the suffering spirits. Because they were already considered mad by the hospital staff, these complaints were largely ignored. For a time, the Italian government owned the island, but it was later sold. That owner abandoned it in the 1960's and was the last person to try and live there. A family recently sought to buy the island and build a holiday home on it but they left the first night there and refused to comment on what happened. The only fact that is known is that their daughter's face was ripped open and required fourteen stitches.